The APNU+AFC Administration has said on several occasions that the indigenous people and their communities have a vital role to play in the environmental management and development of the country due to their knowledge and traditional practices. But since coming to office, the coalition government has been severely criticised for failing to effectively address the issues affecting Amerindians. Earlier today, the Guyana Standard challenged Sydney Allicock, Fourth Vice President and Minister of Indigenous Peoples’ Affairs, to confront the criticisms, the majority of which flow from the Opposition’s camp. Minister Allicock said that special committees are addressing policies in relation to land, mining rights, intellectual property rights and cultural heritage. With regard to land, a committee will be drafting a policy for the granting of titles. The document will also address the problem of subsoil mineral rights; the development of regulation for the process of leasing or granting to developers lands that were traditionally used by Amerindians without consulting their communities; and the development of rules for compensation of indigenous communities for the exploitation of natural resources within lands they lay claim. As for Mining Rights, Minister Allicock explained that Amerindians do not possess any rights to sub−surface minerals on titled land. Mining is however being undertaken by non−Amerindians on lands that lack any form of title, but are claimed by Amerindian communities. Allicock said that this issue extends to the development of tourism, much of which is taking place in the interior. He said that a policy on this issue is near completion. 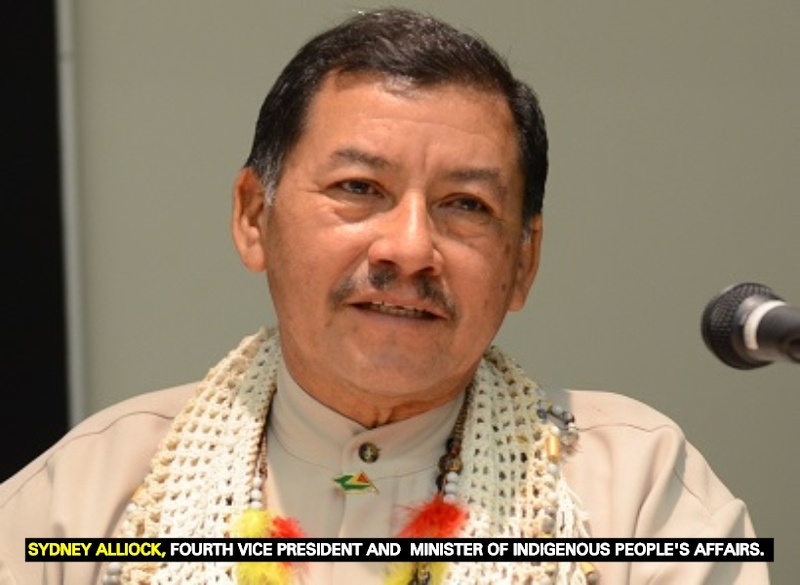 Further to this, Minister Allicock said that moves are being made to ensure the legal protection of traditional knowledge and folklore as well as the institution of measures aimed at the strengthening of Village/Community Administration of the indigenous peoples. He said, too, that strategies for improving the social and economic conditions of indigenous peoples with respect to health, education and the development of resource-based products and services are being addressed.